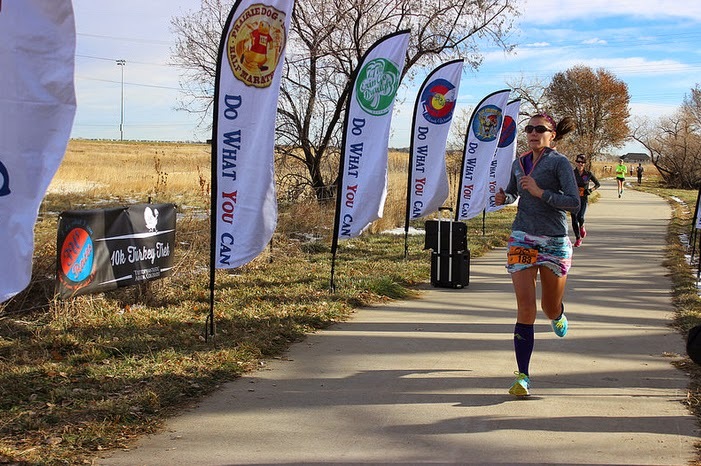 On November 1st, I ran the Global Hope 5K - a fundraiser for a non-profit based out of Broomfield that supports orphans and abandoned children in Romania, India, and Kenya. I've been donating to this organization for a few years now and support a child in Kenya, so I wanted to be a part of this inaugural event. I also helped design the T-shirts which was fun! 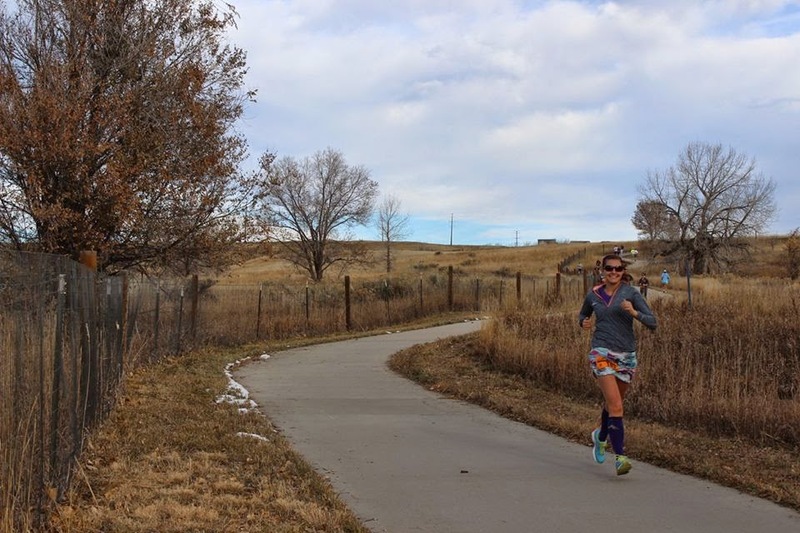 The race was held in Broomfield, so I made a quick trip over to the Front Range for part of the weekend (it snowed a lot on Sunday, so we just drove over for Saturday morning!). I had raced the Broomfield Days 5K about a month and a half prior and finished in 24:48, and knew I wanted to try and beat that time and maybe even shoot for a PR. My previous PR time of 23:50 was set in April 2013 at the Redline Westminster 5K. I was pretty sure that course was short, so I've been trying to beat this time ever since so I can truly feel like I earned the PR time. Race morning was fairly chilly, but sunny out. My friend Amy decided to come join as well, and despite her not running on a regular basis right now, she is a naturally fast runner and is usually pretty good competition, so I was hoping to beat her. I thought beating her would be easier than a PR, but I ended up wrong on that account. After a few warm-up strides, it was time to start! I started out fast with all the front runners, but after looking at my watch and realizing I was running a sub-7:00 minute per mile pace, I decided to pull back a little. I didn't want to wear myself out in the first mile. 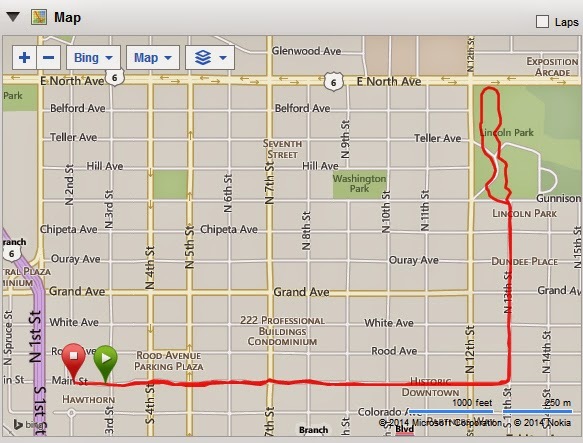 I slowed to mid-7:00 and ran the first mile in 7:31. The next mile I slowed a little more than I wanted to and ran that in 8:03. Despite thinking I could beat Amy since she said she hadn't been running (I don't know if I believe her though - how can you be so fast without training?? ), she was a bit ahead of me. Over the course of the 3rd mile I tried to catch up with her and did for just a short while until she passed me again about 1/2 mile from the finish. With about 1/4 mile to go, I sped things up as best as I could and finished in 23:50 - matching my previous PR exactly (although at least this time I feel like I can count it), and coming in 4th female and 1st in my age group (but technically 3rd in my age group because the 1st and 2nd were overall winners - not sure how to count that though). In general I was really happy with my pace at this race, although I wish I could've kept the second mile under 8:00. I also didn't quite beat Amy - she finished in 23:46 (figures!). (Although as I'm posting this over a month later and have now run a 10K at a faster pace - I do think I probably could've pushed myself to run this a little faster! Now I know!!). Overall I enjoyed this race a lot. There was a good amount of people, but not too many which made racing this easier (as opposed to having to go around a lot of people in crowded races). I liked the course - it went around Broomfield, although there was a bit of a hill right around the 3 mile mark which was tough (in general it was not a tough hill - I just hate having one so close to the end of a race). The race was well organized and I liked the shirts (although I may be a bit biased on that). I hope to do this again next year if they put it on again (dependent upon weather - since I do have to drive over the mountains for it!). Amy and I before the race! Amy beasting out a 23:46 finish! Myself coming in for a 23:50 finish! Amy got 3rd place women overall, whereas I got 1st in Women 20-29. 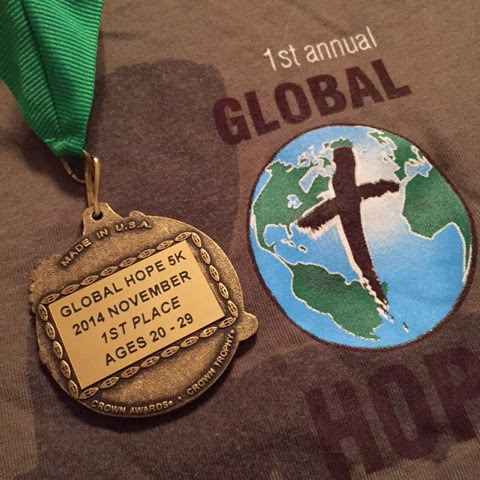 There was a bit of a mix up with the awards at the Global Hope 5K, and so I didn't get to take my award home with me that day. 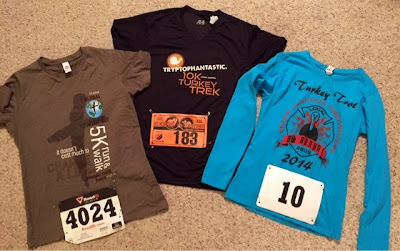 3W Races, the company who organized the race (while it was a fundraiser for Global Hope, they had 3W Races help put it on) ended up mailing it to me about a week later, along with a comp entry into the Turkey Trek 10K in Arvada on November 22nd. I was about to try and find someone who wanted to take the comp entry, until I realized I was actually going to be in Denver over the same weekend - so figured - why not do another race!? My mom came with me to the 8:30am start. I picked up my packet, dropped off some canned goods (they were raffling off some good prizes if you brought canned goods and/or participated in the "Egg Nog Chug Challenge"), and then did a mile or so warm-up before lining up at the start. The race was not chip timed (kind of surprised about that), so they did 2 waves to help break it up: the men started first, followed by the women, 3 minutes later. I started towards the beginning of the women. The gun went off and I headed out. The first section is actually slightly uphill. It was probably better this way, as for once I didn't end up going out too fast. 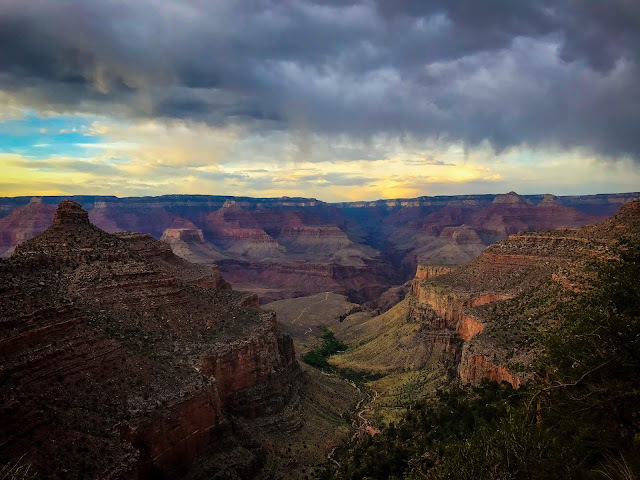 I ran the first mile in 8:25 - actually slower than I wanted (I was hoping for around 8:00 miles with the exception of mile 3, as I knew it had a HUGE hill). Mile 2 had a few downhill sections - 7:59. About half way through this mile, I saw it. The Hill. It was huge. I knew there was going to be one, I just didn't realize it was essentially going to be an entire mile long! Atleast I saw it ahead of time. 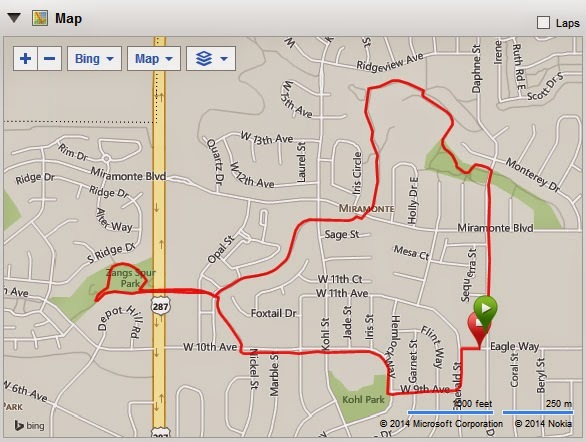 I powered through it as best as I could and ended up with a 9:18 mile. Not too bad considering (I really wish I had a picture of this hill though!). 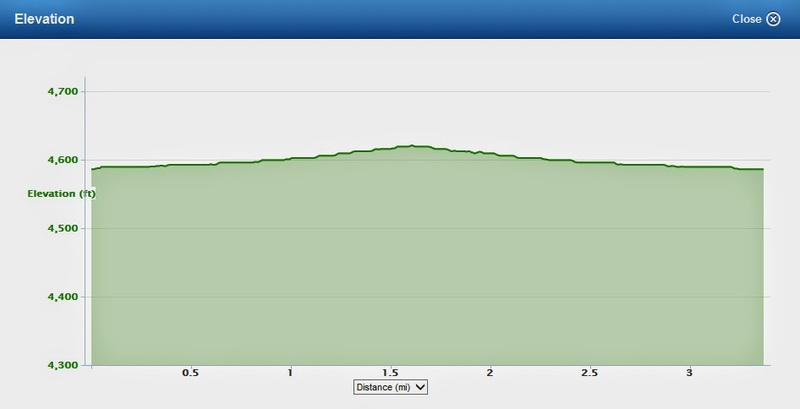 The good news is that "what goes up, must come down," so miles 4 and 5 were pretty speedy: 7:47 and 7:46. Unfortunately by mile 6, I was feeling it. I was trying to keep my pace at around an 8:00 minute mile, but I just couldn't do it. I finished mile 6 in 8:18, right around the time a girl who looked about my age passed me (more on this later). I did speed up a little once I saw the finish line and ran the last .2 at a 7:33 pace - coming in at 4th place in my age group (yep - the girl who passed me at the end got 3rd...figures). Overall this was a fun race. I liked the Thanksgiving/holiday spirit. Had I not been going for time, I think the "Egg Nog Chug Challenge" would've been fun/interesting to attempt (you had to drink 5 oz of Egg Nog at the 3 mile mark). In general, this probably isn't a race you want to go for time on anyways. 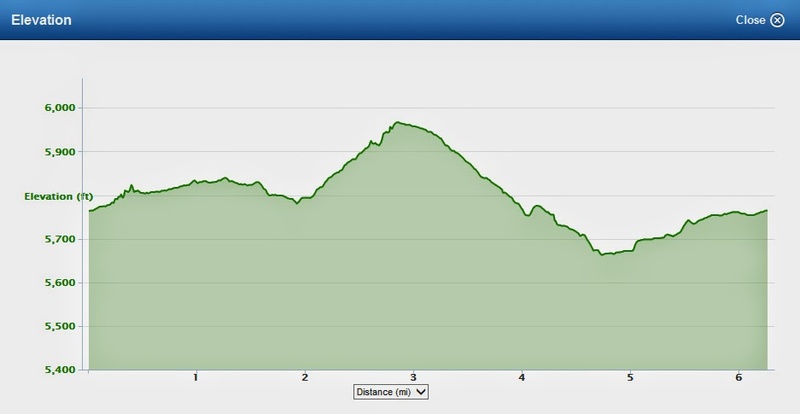 The hill at mile 3 really was rough. 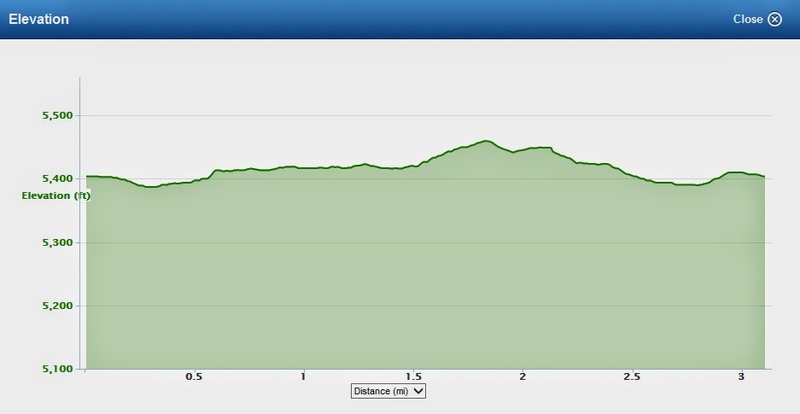 Even with the downhill, I don't think it can make up enough time to accomodate for such a large hill. The event was well organized, I like the shirts (although mine is too big - the website said they run small, so I ordered a medium and of course it's too big), they had some decent swag and a fun environment. I didn't stick around too long post-race, as I had a million things to get done that day (as is every time I go to Denver), but I enjoyed it. 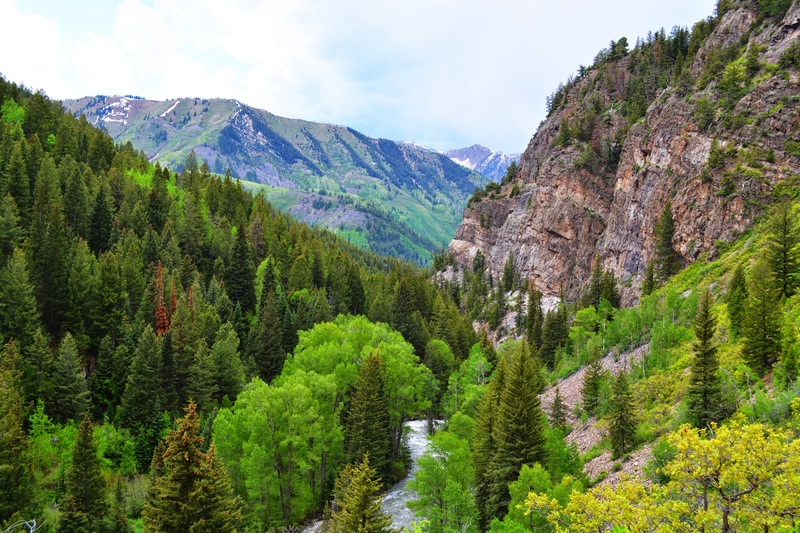 I wouldn't drive over the mountains JUST for it, but if I happened to be in town again next year, I would consider doing it again. 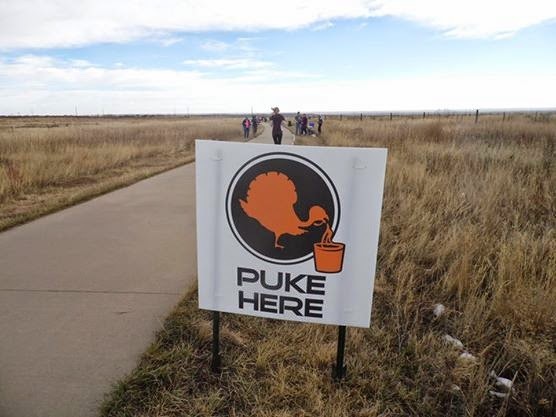 I thought these signs were funny... a few yards past the "Egg Nog Chug Challenge"
Elevation Profile - mile 3 was BRUTAL! 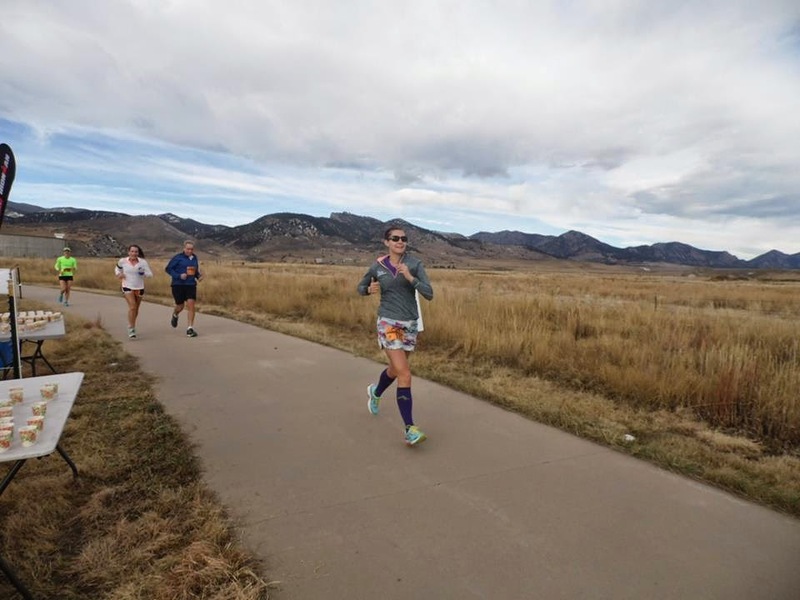 During the past two years when we were in Montrose, we started running the Turkey Trot that the San Juan Mountain Runners put on. 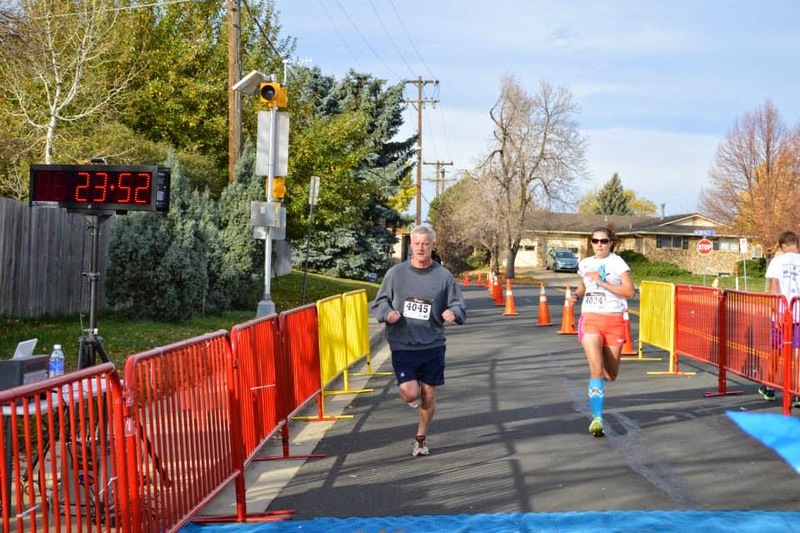 The Montrose Turkey Trot is a low-key "fun-run" (no bibs or official times). When we moved up to Grand Junction, I knew we had to keep the "Turkey Trot" tradition going, so myself, Scott, and my dad all signed up for the Grand Junction Turkey Trot. This one is a lot fancier than the Montrose one, which I'm not sure if I like or not. It's nice to get bibs, t-shirts, and chip timing, but it's also more of a hassle, and as you'll read in a bit, the chip timing was pointless since there were so many people I could barely run, let alone shoot for a PR. My original plan was to go for a PR...but a few things factored into my changing my mind at the last minute. For starters, I forgot my garmin. Without it, I'm not very good at pacing myself. Secondly, by the time we were getting close to the start, I was also starting to realize just how many people there were and just how far back we were from the starting line. So I made an executive decision not to actually "race" this one and instead just enjoy it. Scott was running as well, and we haven't run together in a race since my first 5K, so I thought it would be fun to run together. The race started at 9:20, but it took us atleast several minutes to actually work out way up to the start line. The timing was interesting because there weren't mats, so I didn't realize when we had officially started. The crowds were crazy, but we did our best to go around. I have no problem with walkers in these events, but I wish they would start towards the back - the entire first mile of this race was weaving in and out and around people. It was a nightmare. I do think the course was kind of fun. The race started at 3rd and Main, so you run right down the middle of the downtown streets. Despite the map online showing that we were supposed to go down 11th, we actually ended up going down 13th, and then up towards the Lincoln Park track where I do a lot of my speedwork at. The course then goes around 3/4 of the track and then heads back the same way. By this point, we were finally able to run consistently which was nice. I could tell we were still running fairly slow though. Finally we were back onto the downtown part of Main Street and decided to pick up the pace. At the very end, they divide chip timed runners from everyone else, and as soon as we saw this we started sprinting. Of course since Scott has longer legs he beat me during the sprinting, despite me giving my best effort (although just barely), and we finished in 32:43 - definitely not my fastest time, but it made for a nice Thanksgiving morning run! After the race we snapped a few pictures and then headed home to start cooking! Despite all of the crazy congestion, I will still probably do this next year if we're in town - but mostly just because I like the concept of a race on Thanksigving morning. I would hope that they would organize it a little better next year (perhaps allow the "competitive" / chip timed runners start earlier than everyone else), but who knows. It is a fundraiser for the local fire department, so just going out to support them is fine by me. I also liked the shirts a lot, although I probably should've ordered a medium instead of a small (also loved how they gave the option to order a women's cut shirt for only $1 more - neat idea I haven't seen yet!). Weather: Cold! 30's and sunny? 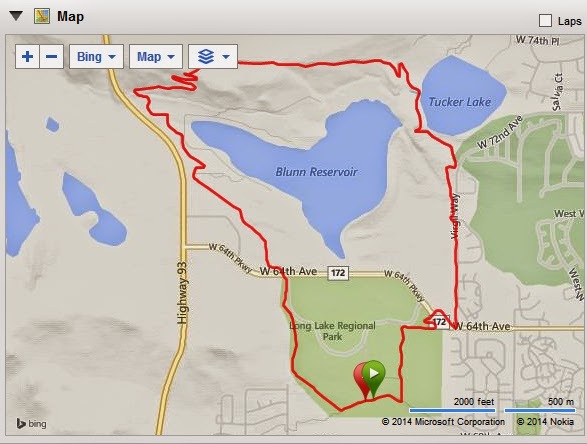 Course Map - stole from my Dad's garmin data since I forgot mine.